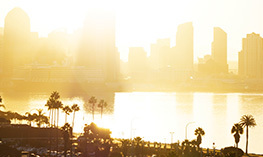 One Ocean One Love https://oneoceanoneloveshop.com is a green, environmentally friendly business specialized in ecofriendly clothing and accessories. From shopping bags, to printing paper everything is made from recycled material. They are big advocates of reducing single use plastics in daily life and also sell products to help people reduce their consumption. 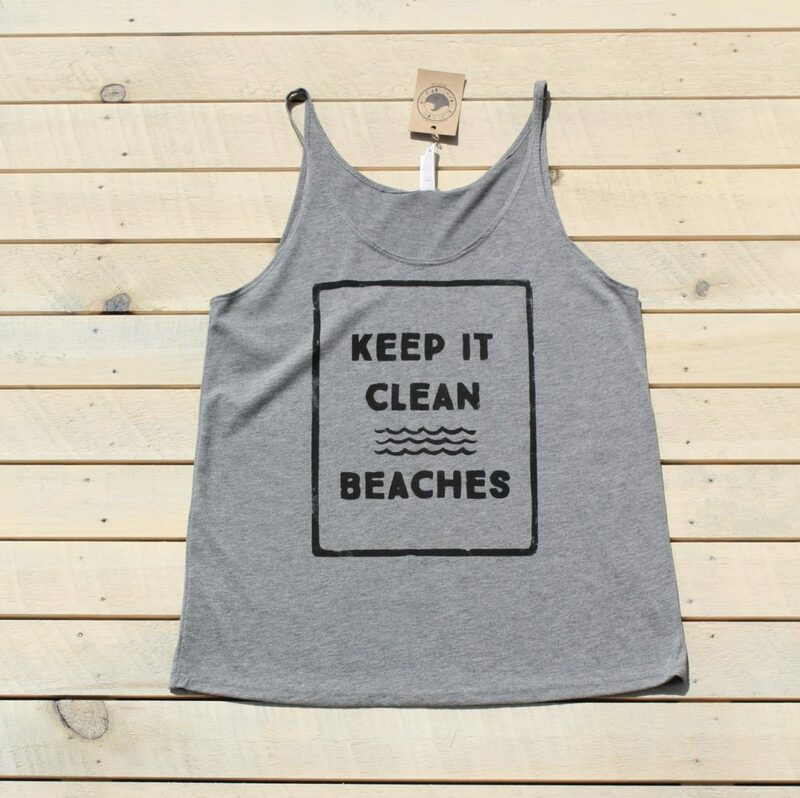 Additionally, 5% of all their apparel net profits are donated toward keeping our oceans clean. They also organize and host volunteer beach cleanups regularly. Through a partnership with Cape Ann Maritime Partnership (C.A.M.P) they raised enough money thanks to a generous grant from one of the top leaders in sustainable clothing and apparel, Patagonia, who sponsored several Seabin in the region. Facing the success of the operation, One Ocean One Love does not want to stop there, and is dedicated to keep local harbors clean by installing and maintaining as many Seabins and Marine Debris Skimmers as possible. We interviewed Jamie, the One Ocean One Love CEO to know more about these fantastic people and their successful campaign for cleaner oceans! 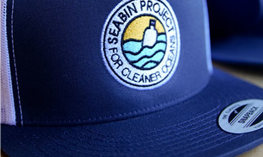 Who is behind getting funding for Seabins, a bunch of ocean lovers and concerned citizens? and how did you find out about Seabins? I began One Ocean One Love as a side job when I was working at the New England Aquarium in Boston as a Marine Mammal trainer. When I started the company, I knew I wanted to give back to the ocean in some way. I had many passions when it came to the oceans health, and I found it extremely difficult to choose a charity to donate proceeds to. Not long after the company was born, I saw The Seabin Project’s crowdfunding video on social media. 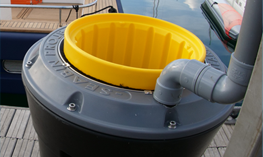 The Seabin Project seemed like the perfect way to help keep the ocean healthy, as well as protecting its biodiversity. For this reason, we chose to donate to Seabin Project’s Kickstarter program with the hopes that one day we could purchase one for the marina located at our brand’s headquarters in Gloucester, US. One Ocean was hosting a coastal cleanup here in Gloucester when Zach Thomas and his wife approached me. Zach Thomas is a heavy weather coxswain in the US Coast Guard which means he is authorized to drive in up to 20 feet waves or 50 knot winds to perform search and rescue. It was late 2016 when he first heard about Seabins video on Facebook, and that really changed everything for him. He’d seen so much marine debris while underway in his job and the issue seemed hopeless. He told me that he saw our mission to purchase a skimmer and that he had the same goal himself. He suggested we work together to make this happen for Gloucester. Soon after lots of other members joined in, and that’s how the Cape Ann Maritime partnership was born! Cape Ann Maritime Partnership also known as C.A.M.P, consists of individuals from NOAA Marine Debris Program, Seaside Sustainability, Inc., USCG, Maritime Gloucester, Gloucester’s Clean City Commission, and One Ocean One Love. 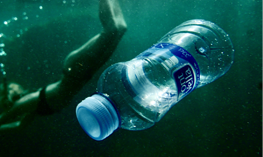 We have one goal in mind: eradicate marine pollution. Through the usage of Marine Skimmers and Seabins throughout the Cape Ann area, we are taking lead in the fight against marine debris. CAMP is a completely volunteer based group, and no members draw any sort of a paycheck. So basically, to answer your question, our partnership is comprised of ocean lovers and concerned citizens who got together to make a difference in the local community. Together, we have hosted a variety of fundraisers to raise enough funds to purchase a skimmer. We have had small and large donors from both, individuals and local companies. However, non quite as large as Patagonia’s generous grant! Yes! We all have day jobs, (One Ocean One Love, USCG, NOAA, Seaside Sustainability, Maritime Gloucester.) We usually gather to meet after work once a month to discuss questions, concerns, upcoming events, and fundraising efforts! We are all everyday people who saw a problem and got together to try and tackle it! What is the water quality situation in Cape Ann, what prompted you to take action? We live in a beautiful oceanfront town where fishing and tourism are our top draws. Unfortunately, both take a huge toll on our oceans health. We host regular beach cleanups and constantly find marine debris and ghost gear polluting our shores. Each member of the partnership spends a good deal of time on and near the water, and regularly sees evidence of the ocean pollution problem. 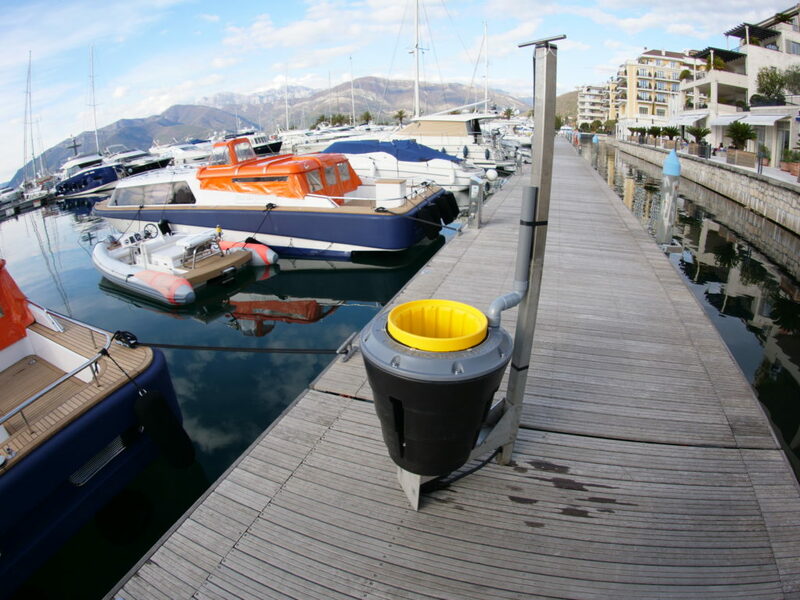 As I mentioned, one of the Seabins will be located at the marina where our One Ocean headquarters is located. 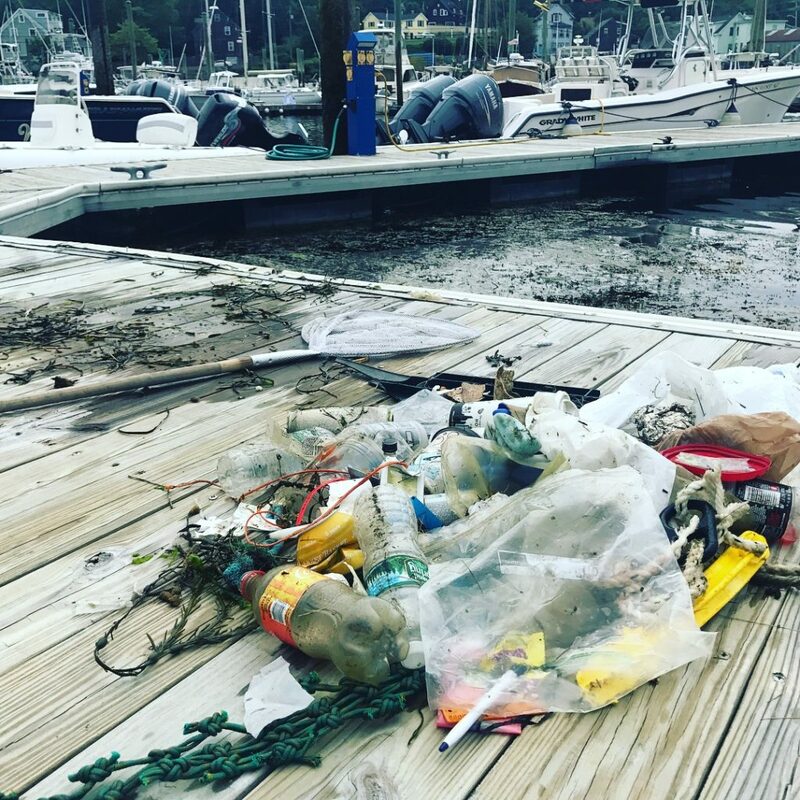 We are located in the inner harbor of Gloucester and are constantly manually skimming trash out of the ocean (with a net) as well as picking trash up while out paddling or on the boat. On a relevant note, we currently have a large amount of krill in our harbors and just off our beaches. Because of this we have had the amazing opportunity to view North Atlantic Right Whales feeding just off our beaches! We feel that now is the perfect time to draw a connection between our impact on the ocean and the animals that live in it. What other initiatives have you and the group got going on? While marine skimmers have been our main focus, we have also been actively involved and vocal about reducing single use plastics all together. Gloucester recently banned the use of polystyrene take out containers and plastic bags at retail locations, both taking effect in 2019. We recently started a straws campaign and will use funding to provide table tents for local restaurants to display that ‘straws are only available upon request’. Our hope is to reduce the number of single use plastic straws being used. We will also use the funding to provide alternatives, like a supply of paper straws for establishments to try out. Lastly, we will be hosting a free public screening of the documentary “straws” to help educate the community. Our partners at Seaside Sustainability recently hosted a fundraising viewing of “A Plastic Ocean” with CAMP as the benefactor. It sold out very quickly and got a really great response from our community, so we are looking forward to this new straws initiative! We believe we need to educate as well as install innovative technologies to make a REAL change. Tell us more about One Ocean One Love, it’s pretty awesome from what we have seen on social media. One Ocean One Love, is an ocean conservation minded clothing brand that donates 5% back to the ocean. We hand print and design all our clothing right here in Gloucester! Pretty much all of our designs are inspired by our love for the ocean. For example, we have shirts that read “Keep it clean beaches” “This planet needs you to give a sh*t” and “Respect the locals” with a shark in the middle. In the past we have donated to The Seabins Kickstarter fund, Atlantic White Shark Conservancy, and many more. However, now we primarily donate to CAMP! We also host regular volunteer beach cleanups around town even though we do our own cleanups pretty much every day! As you mentioned, we use our social media presence and following to educate and highlight the marine debris problem in hopes of inspiring others. Which from the response we get, seems to be working! Like I mentioned above It was at one of our cleanups, that Zach approached us! How did the Patagonia connect come about? What was the process here? What was the pitch to receive the funding? We caught word through Patagonia’s outreach in response to certain political movements and that they were backing environmental nonprofits with grants so we applied! (And by we, we mean Zach) We’ve established a great relationship with the local Boston chain, and they chose us to receive their retail grant for this region. The pitch was based solely on Seabins and their capacity to clean our oceans. Patagonia, the Seabin Project, and CAMP are all comprised of ocean lovers with the same clean future in mind. It’s a perfect marriage of resources, passion, and volunteerism! How stoked was the team to receive the good news? Let’s just say, there was a whole lot of celebrating! We have been chipping away slowly at fundraising hoping to eventually be able to purchase a Seabin. 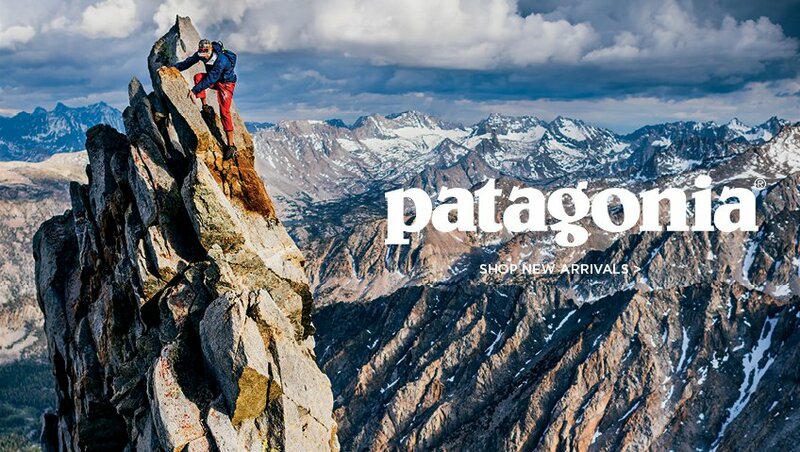 When we learned that Patagonia was going to fund two of them for us, it almost didn’t seem real! We are so thankful and can’t wait to see what the future holds for this partnership! We plan to continue to fund-raise and apply to grants with the goal of purchasing more Seabins, so that they can be located all over Gloucester harbor as well as, those of the neighboring coastal towns. We will also continue helping to educate our community on the importance of our oceans health, as well as, educate them on eco-friendly alternatives to single use plastics/waste. 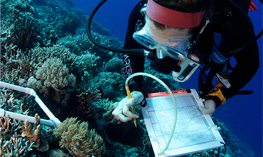 Would your group/team be interested in participating in the Seabin data collection program? It is to understand the impact that the Seabins can have and also to understand the real time state of our waterways in an upstream location. 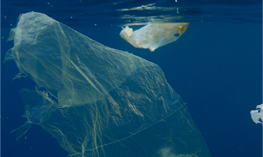 We had already planned to track what we were collecting from our Seabins, so we would love to participate!